AC-DC Power Supplies are one of the most common power supplies in use today. In general, specific output is obtained from a 120VAC or 240VAC input using a combination of transformers, diodes and transistors. AC-DC Power Supplies can be of two types: regulated power supplies, and unregulated power supplies. 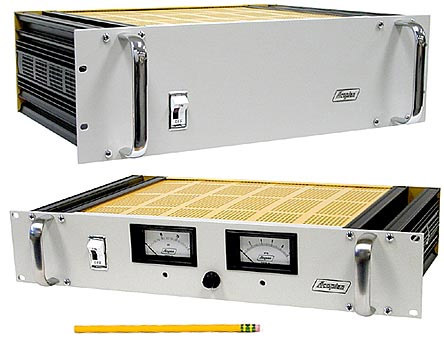 Regulated power supplies come in two AC to DC styles: Switching regulated AC to DC, Linear regulated AC to DC. Switching regulated power supplies, sometimes referred to as SMPS power supplies, switchers, or switched mode power supplies, regulate the output voltage using a complex high frequency switching technique that employs pulse width modulation and feedback. 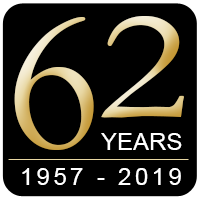 Acopian switching regulated power supplies also employ extensive EMI filtering and shielding to attenuate both common and differential mode noise conducted to the line and load. Galvanic isolation is standard in our switchers, affording our users input to output and output to ground isolation for maximum versatility. Acopian switching regulated power supplies are highly efficient, small and lightweight, and are available in AC-DC single and wide-adjust output (and our DC-DC configurations). Our Low Profile wide adjust output switchers can be voltage or current regulated and are externally programmable. Linear regulated power supplies regulate the output using a dissipative regulating circuit. They are extremely stable, have very low ripple, and have no switching frequencies to produce EMI. Galvanic isolation is standard in our linears, affording our users input to output and output to ground isolation for maximum versatility. 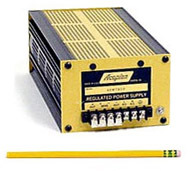 Acopian linear regulated power supplies are available AC to DC single and wide adjust outputs. Unregulated power supplies are basic power supplies with an AC input and an unregulated output. The output voltage changes with the input voltage and load. 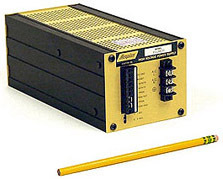 These power supplies are inexpensive and extremely reliable.